All four of Sleepy Eye Legion Post 7’s games at the 2017 Upper Midwest Classic were decided by one run apiece. Even though Post 7 could not break through to the winner’s bracket, it still ended its weekend on a high not. 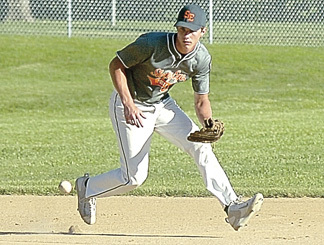 Despite losing 2-1 to Eastview to end Pool C round-robin play on Saturday in Essig, Sleepy Eye later used a big late-game push to beat Harrisburg (S.D.) 4-3 in a third-place game in Searles. Matt Mielke lifted Post 7 to the eventual win with a two-run home run that broke a 2-2 tie in the top of the seventh inning. The first-pitch offering was a big breath of fresh air for a team that has been living in one-run games these past few days. Harrisburg rallied in the bottom of the seventh, however, with a two-out RBI single by Anthony Lanier that scored Caleb Diest and advanced Zach Lanier to second, cutting the lead to 4-3. However, Kyle Windschitl caught Leif Thorson looking on a 1-2 offering to end the game. Windschitl notched six strikeouts in getting the complete-game win. 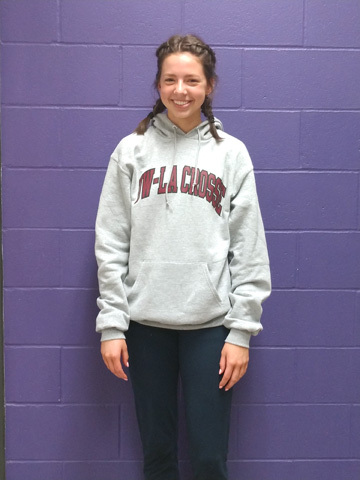 “He kept them off balance and that’s really a key for us,” John Mielke said of Windschitl. “We don’t have dominating-type pitching, so when we get ahead in the count, that’s big. Getting that first out of the inning is a big deal for us. Sleepy Eye got onto the board thanks to a two-RBI single by Carter Brinkman that ended Jared Inskeep’s day. Diest came in and pitched the rest of the game, giving up Matt Mielke’s big home run to give Inskeep the no-decision. In the first game, Sleepy Eye and Eastview combined for five errors, three of which accounted for runs scored. An error on the second baseman that allowed Max Heiderscheidt to reach was followed by a string of singles to begin the top of the third inning. Brinkman drove in Heiderscheidt with the third-and-final hit of that string, but Eastview was able to turn a double play to end the inning after throwing out Nic Helget at home plate on a 6-2 fielder’s choice. Helget allowed one unearned run in the bottom of the fourth before Andrew Rose allowed another unearned run in the bottom of the fifth to officially tag him with the loss. Windschitl pitched the final two innings, having given up one hit with one strikeout. Jared Beltz was 2 for 2, while Brinkman was 1 for 1 with the team’s lone RBI. Helget and Eastview’s Kathan Decker were tagged with no-decisions in the contest. Helget and Rose combined for seven walks. N Helget, Rose (4), Windschitl (5) and M Mielke; Decker, Brill (5) and Selchow. Leading hitters – Sleepy Eye: Brinkman 1-1 1 RBI 1 BB, Beltz 2-2 1 BB; Eastview: Buck 1-3 1 RBI 1 K, Miller 1-4 2B, Young 1-3 1 R, Tollefson 1-3 1 R.
Windschitl and M Mielke, Sanchez (5), M Mielke (7); Inskeep, Diest (5) and Reuwsaat. Leading hitters – Sleepy Eye: Haala 2-4 2 R, Brinkman 1-3 2 RBI, M Mielke 3-4 2 RBI 1 R 1 K HR, Heiderscheidt 1-2 2B; Harrisburg: Diest 2-2 2 R, Z Lanier 3-4 1 RBI 2B, A Lanier 1-3 2 RBI.